On December 4, 2018, ESU 11 hosted a Professional Learning Community meeting for 7-12 grade Social Studies teachers. PLCs are an ongoing process in which educators work collaboratively to achieve better results for the students they serve. During this session, NDE Social Studies Consultant, Harris Payne, shared a variety of resources that teachers can use to teach the concepts outlined in the standards such as Structured Academic Controversy, Resources from the Library of Congress, Civics Resources, Geo Inquiry Lessons, Media Literacy, and Historical Thinking Skills. 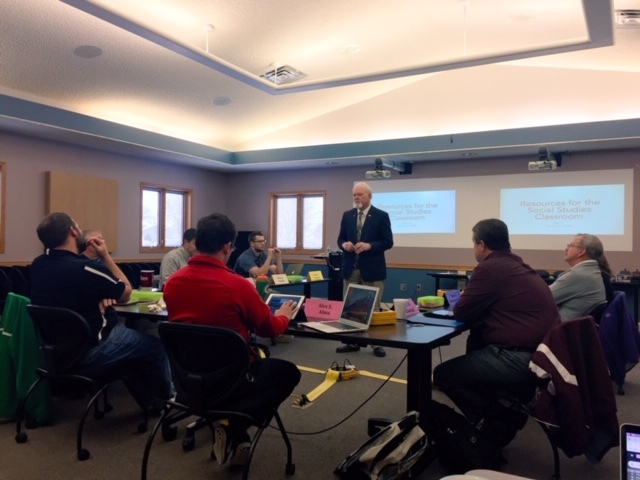 He also shared information about the Social Studies standards revision process. Kate and Jody also showed several resources that teachers can use to help teach standards and increase student engagement. 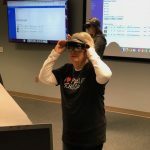 Such tools included the HoloLens, Google Expeditions, Insert Learning and Actively Learn. The next PLC will be held in the spring. Between now and the next meeting, teachers will engage in action research to determine if the shared resources are effective in teaching and assessing the learning targets. 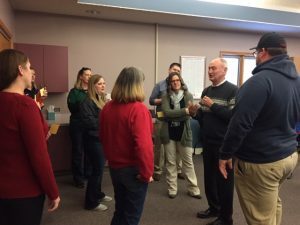 On October 25, 2018, ESU 11 hosted a Professional Learning Community meeting for 6-12 grade science teachers. PLCs are an ongoing process in which educators work collaboratively to achieve better results for the students they serve. 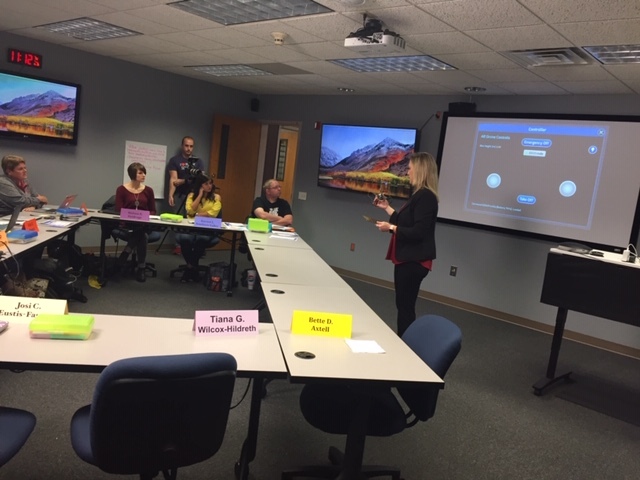 During this session, the group reviewed the newly adopted College and Career Ready Science standards and 3-Dimensional Teaching. 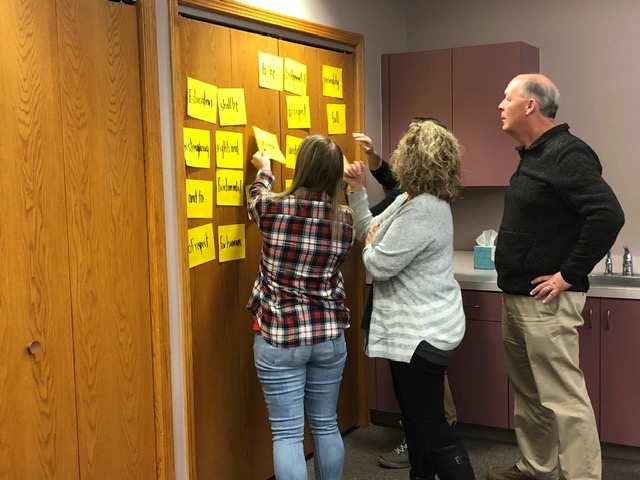 Kate and Jody then helped the teachers identify where the Nebraska CCR Science standards are taught in the school’s current science textbooks. During this procedure, teachers held professional discussions and identified gaps in the curriculum. Kate and Jody also provided resources to address those gaps, and integrate engineering components. The next PLC will be held in January. 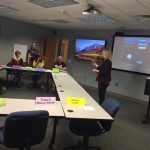 Between now and the next meeting, teachers are encouraged to integrate one of the lessons that was developed in their classroom during a science lesson. 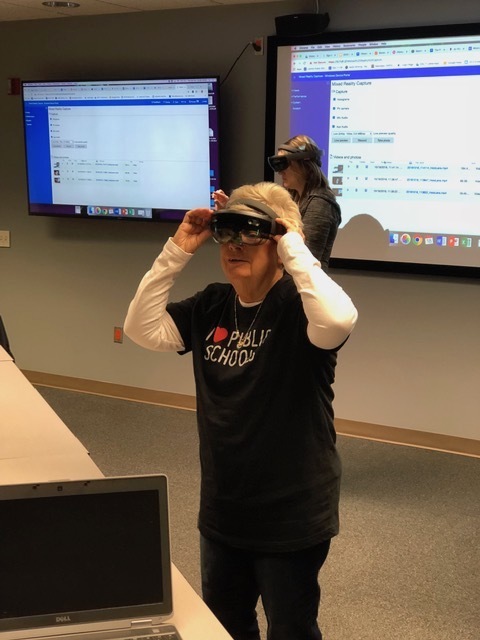 On October 18, 2018, ESU 11 hosted a Professional Learning Community meeting for fourth and fifth grade teachers. PLCs are an ongoing process in which educators work collaboratively to achieve better results for the students they serve. 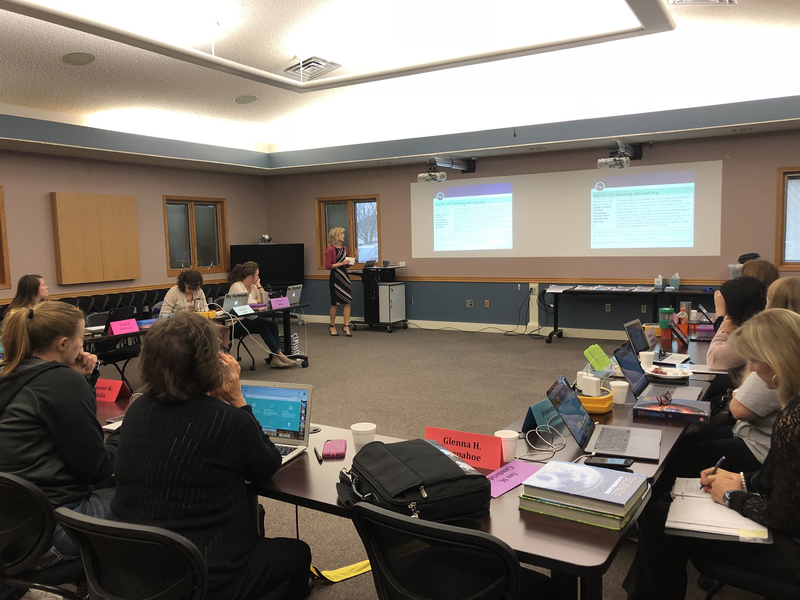 During this session, the group reviewed the newly adopted College and Career Ready Science standards and 3-Dimensional Teaching. 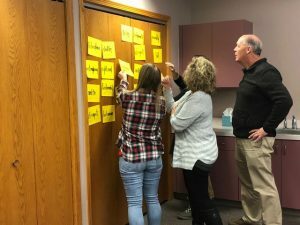 Kate and Jody then helped the teachers identify where the Nebraska CCR Science standards are taught in the school’s current science textbooks. During this procedure, teachers held professional discussions and identified gaps in the curriculum. Kate, Jody, and ESU 11 Gifted Coordinator Janelle Jack provided resources to address those gaps, and integrate engineering components. The next PLC will be held in January. 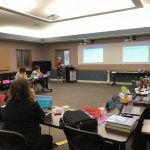 Between now and the next meeting, teachers are encouraged to integrate one of the lessons that was developed in their classroom during a science lesson.